Mon Cheri Bridals is a truly glamorous and unique wedding dress collection that captures the personality of every bride on her wedding day. Mon Cheri designer Martin Thornburg develops an assortment of fashionable bridal gowns ranging from traditional ball gowns to modern wedding dresses, and couture bridal fashions to more informal wedding designs. 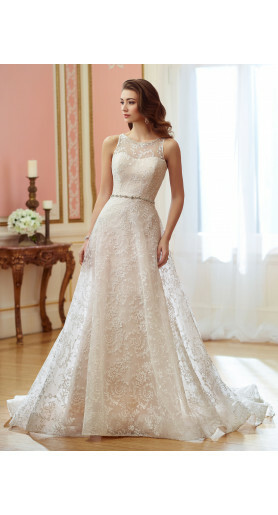 Mon Cheri Bridals offers today’s stylish brides with high quality fabrics, hand-beaded Swarovski crystals, and impeccable fit at an affordable price.